WINSTED, MN – If you could go back in time and meet Laura Ingalls Wilder in person, what would you ask her? 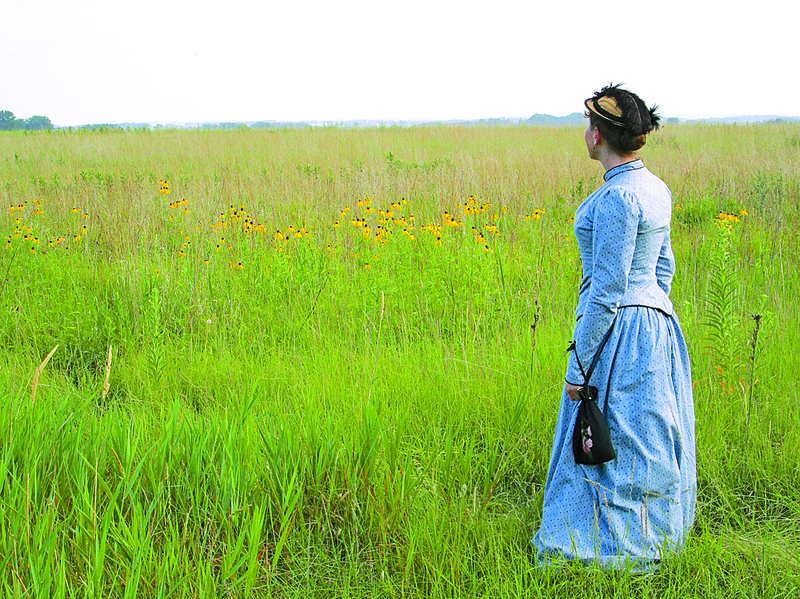 Fans of “Little House on the Prairie” might want to start thinking of their questions, because Mrs. Wilder (aka historian Melanie Stringer) is coming to Winsted Monday, Nov. 19. Stringer does her presentations entirely in character as Mrs. Wilder. She dresses head-to-toe in clothing authentic to the era, and she answers questions in first-person style. Look for a full story about Stringer and her presentations in the Friday, Nov. 2 edition of the Herald Journal. • Friday, Nov. 2 – Hector Public Library at 10 a.m. and Grove City Public Library at 6 p.m.
• Saturday, Nov. 3 –Swift County Historical Society at 2 p.m.
• Monday, Nov. 5 – Clara City Care Center at 2 p.m. and Milan School Cafeteria at 7 p.m.
• Tuesday, Nov. 6 – Granite Falls Health Care Center at 2 p.m. and Montevideo Public Library at 7 p.m.
• Wednesday, Nov. 7 – The Cultural Centre in Bird Island at 10 a.m. and the Litchfield Public Library at 6 p.m.
• Thursday, Nov. 8 – Cosmos Public Library at 10 a.m.
• Friday, Nov. 9 – Brownton Public Library at 11 a.m. and Glencoe Public Library at 4 p.m.
• Saturday, Nov. 10 – Dassel History Center at 10 a.m. and Fairfax Public Library at 3 p.m.
• Tuesday, Nov. 13 – Graceville Public Library at 10 a.m. and Ortonville Public Library at 6:30 p.m.
• Wednesday, Nov. 14 – Raymond Public Library at 6 p.m.
• Thursday, Nov. 15 – Maynard Public Library at 10 a.m.
• Friday, Nov. 16 – Atwater Community Center at 10 a.m.
• Saturday, Nov. 17 – Willmar Public Library at 10 a.m.
• Monday, Nov. 19 – St. Mary’s Care Center in Winsted at 2 p.m. and Hutchinson Public Library at 7 p.m.
• Tuesday, Nov. 20 – Spicer Public Library at 10 a.m. and Lake Lilian Public Library at 6 p.m.
Melanie Stringer has spent more than two decades researching the life of Laura Ingalls Wilder. During her presentations, she wears the type of clothing Laura would have worn as a young woman.